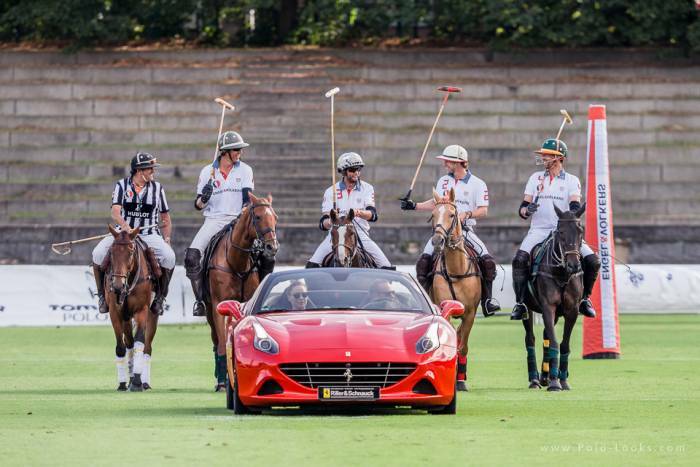 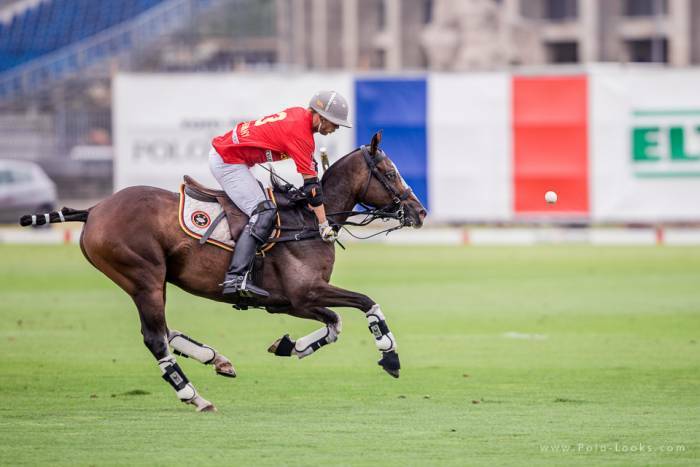 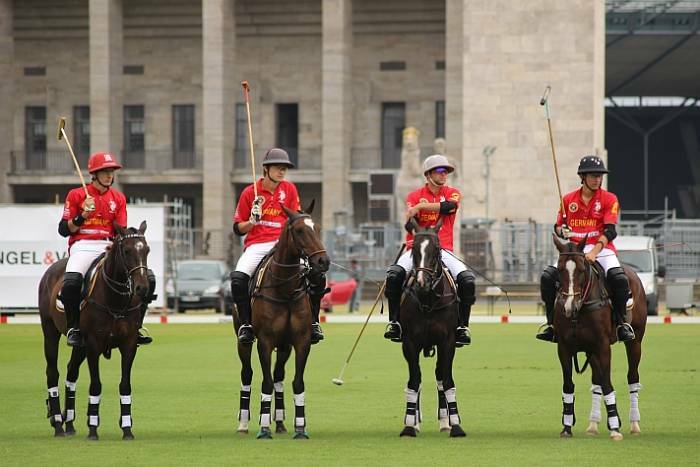 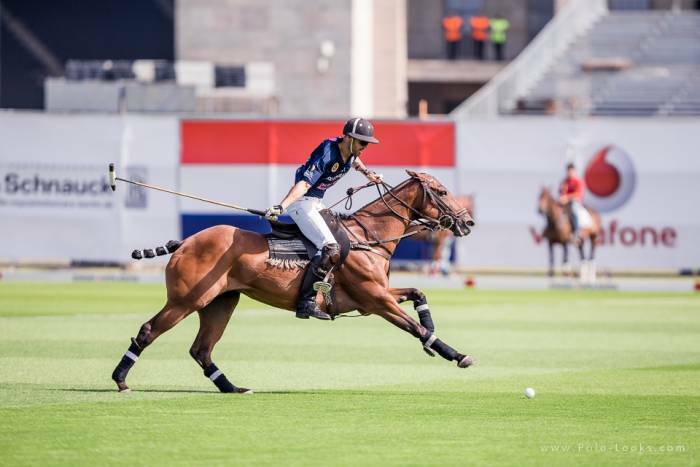 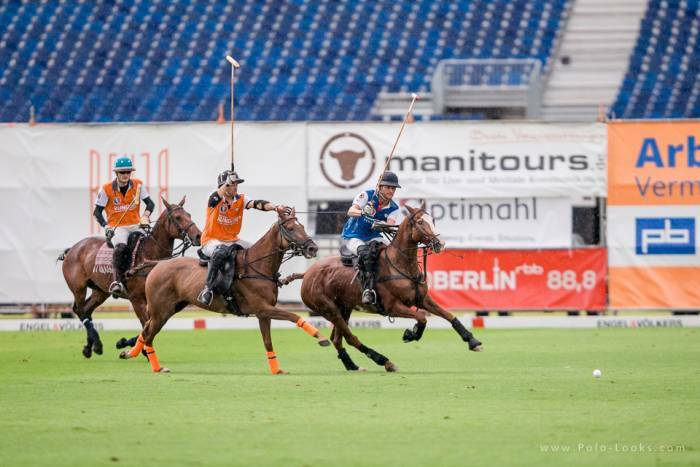 One of the most memorable weekends of this European polo season has come to an end, and spectators and players experienced a unique double-championship in the multi-cultural city of Berlin. 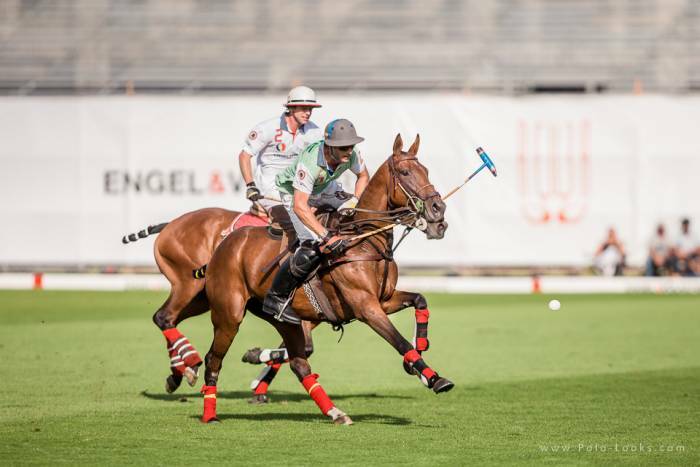 After Ireland and France managed to make it to the finals of the XI FIP European Championship, it was time to move the thrill of the game to the main stage: the magnificent Maifeld. 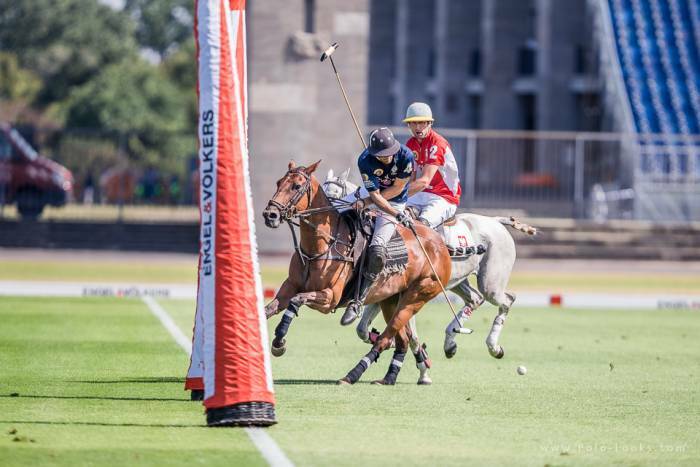 Saturday kicked off with an encounter between Poland and Slovakia. 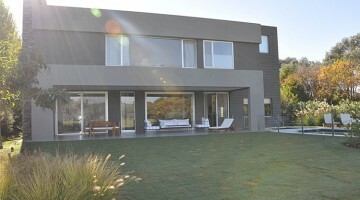 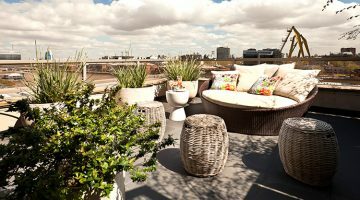 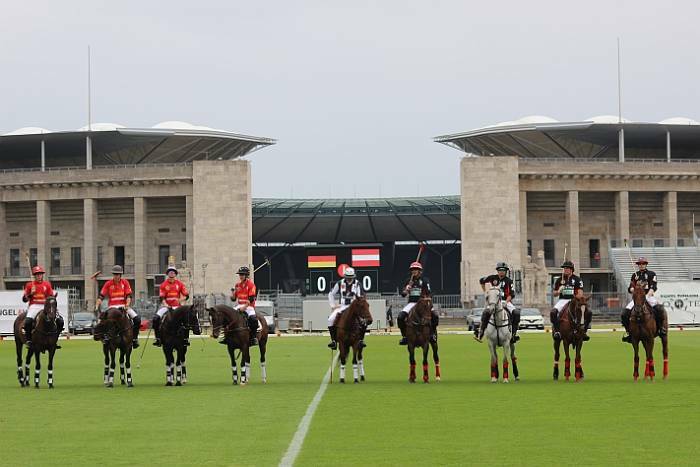 Both teams were lucky enough to experience a brand new Maifeld that had been prepared for the event. 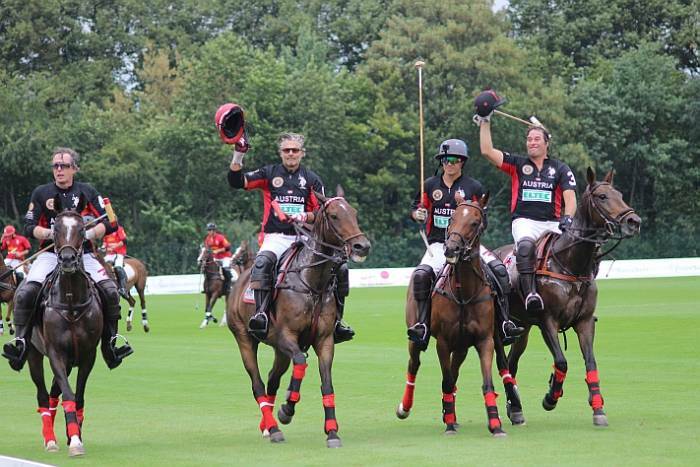 Finally, the great teamwork of Poland got them the lead and they won 6.5-4. 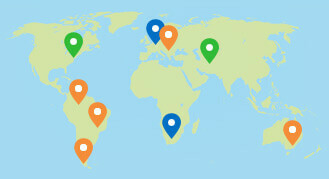 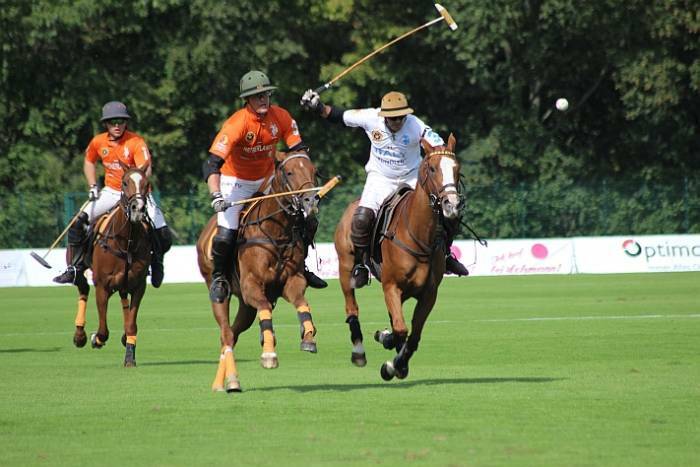 The second match of the day was the one between Italy and the Netherlands. 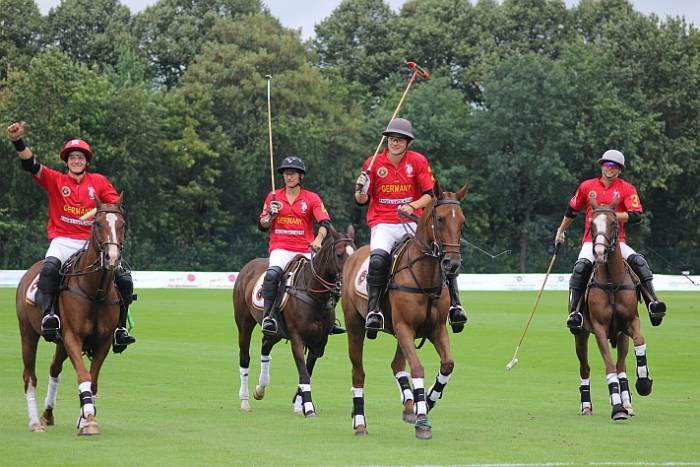 The Italian team was renovated: Tuky Caivano and Paolo Grilling were still team members but Ginevra d’Orazio (the only woman in the tournament) and Goffredo Cutinelli joined. 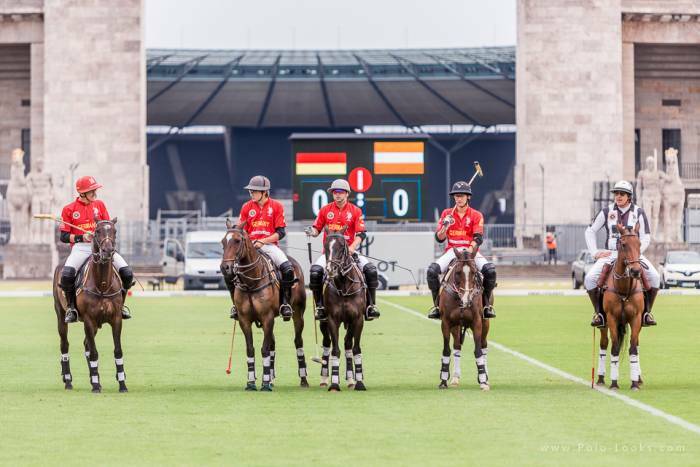 Apparently this was the winning formula, as Italy won 6-4 to the Netherlands. 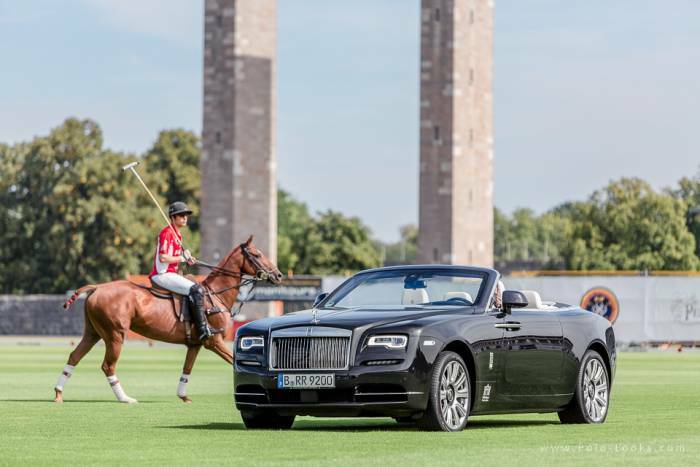 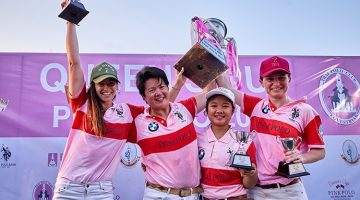 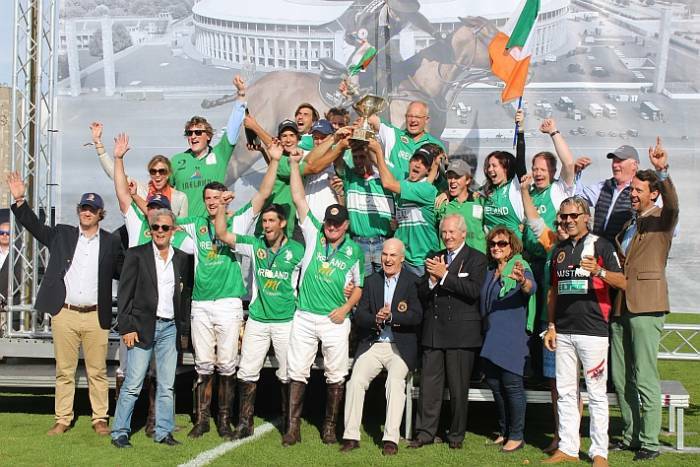 Later on in the day, with the iconic backdrop of the Olympic Stadium of Berlin, the Tom Tailor Cup, the third place of the Engel & Völkers Berlin Maifeld Polo Cup, was celebrated. 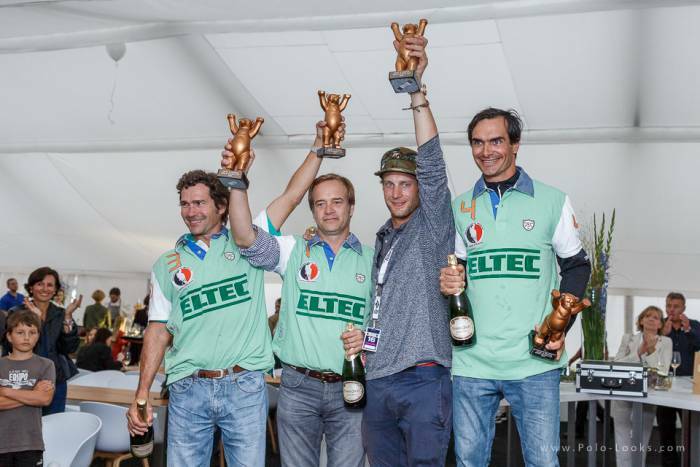 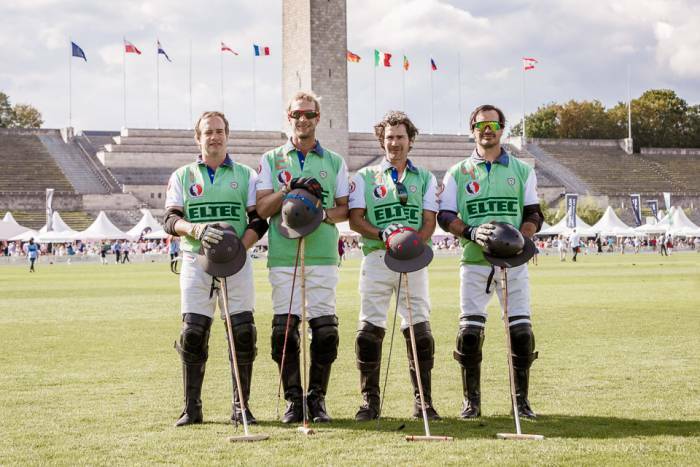 Teams Engel & Völkers (formed by Christopher Winter, Thomas Winter, Tim Ward, and Oliver Winter) played the subsidiary finals versus team Eltec (Moritz Gädeke, Nico Wollenberg, Marcos Riglos and Tatu Gomez Romero). 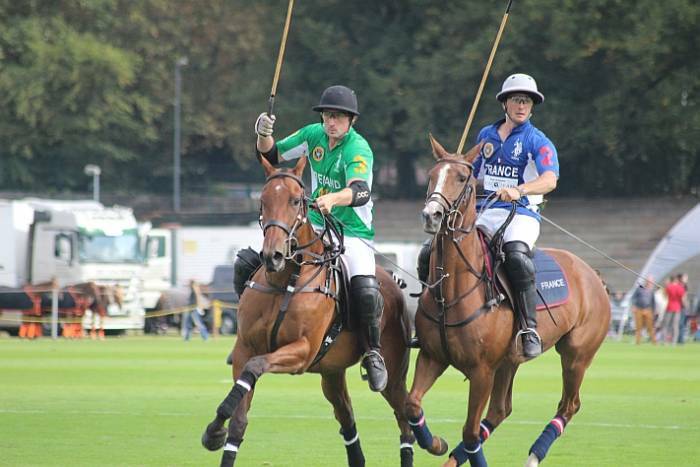 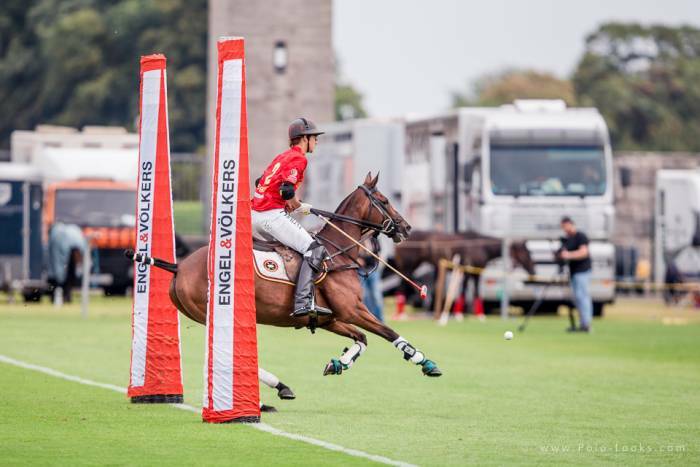 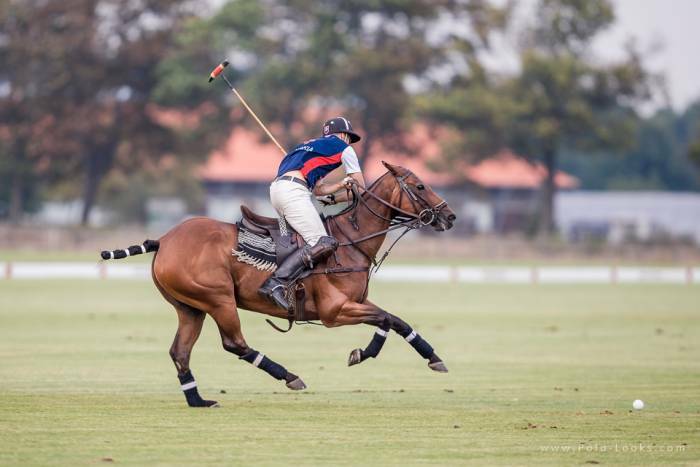 It was an exciting match in which Eltec was able to hold the lead of the game all through the four chukkas, but only for a small difference, until they managed to extend it and won by 10-7.5. 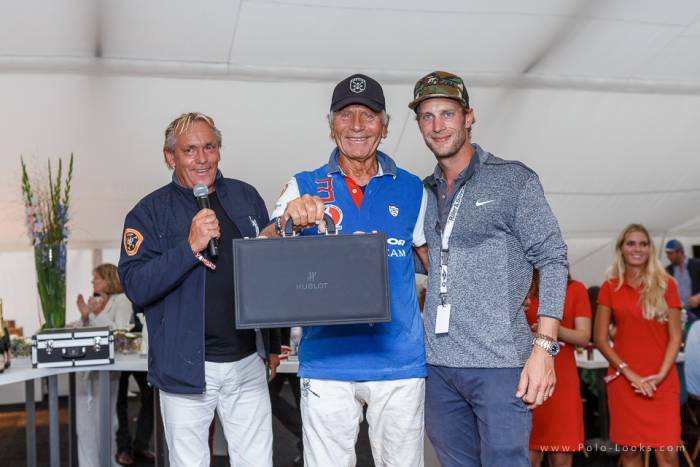 After the polo day, when the sun set, the guests gathered once again at the Maifeld for a lovely gala dinner, on which the FIP and the organisers thanked everyone involved. 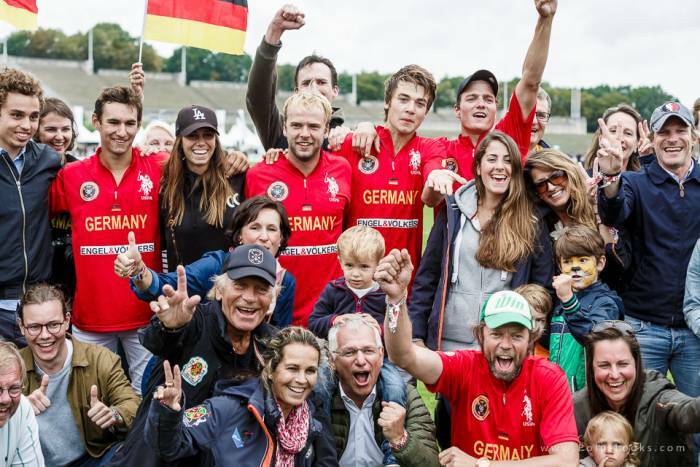 On a rainy Sunday afternoon, both Championships resumed and first it was time for Germany to battle Austria for bronze. 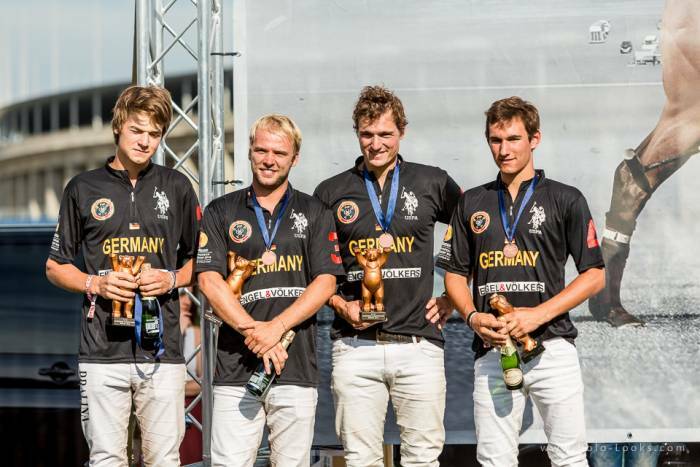 The German boys put up a great fight, showing excellent discipline and solid teamwork. 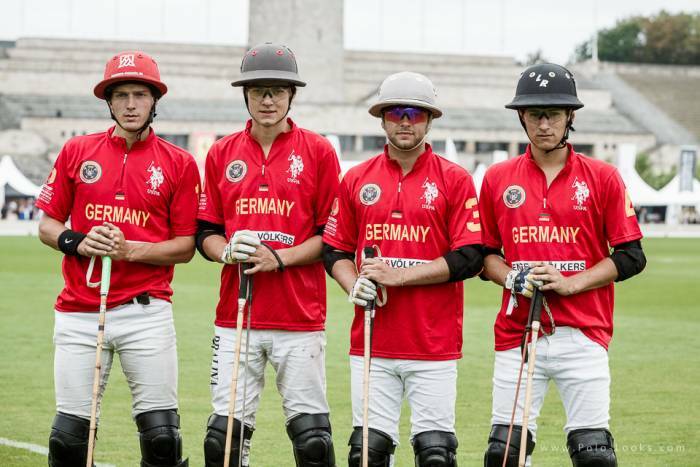 Even though the locals started with the right foot and kept the lead until the fourth chukka, Austria, a tough opponent, kept the German boys busy by fighting hard until the very end as surprisingly, Martin Bleier scored three goals in a row on the last one, proving once again the unexpectedness of the sport, and they went to overtime, when Caesar Crasemann managed to score and end this nail-biting game on his team’s favour. 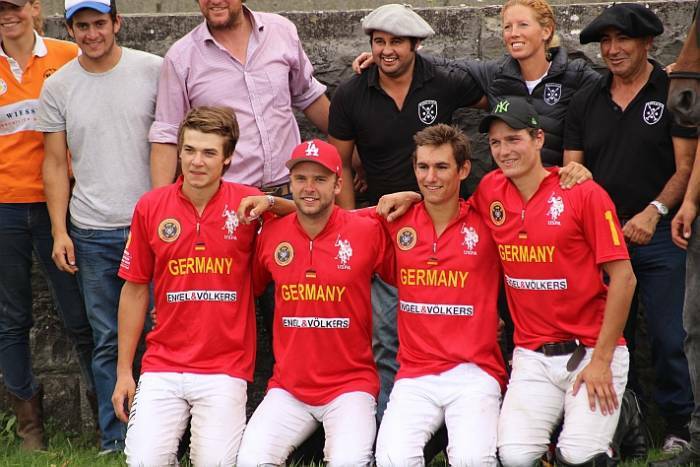 The final score was 5-6 for Germany. 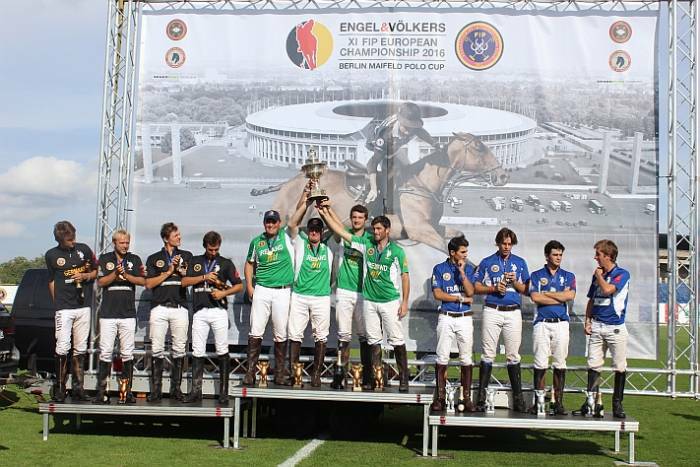 Following this match, it was time for the most awaited game of the last ten days: the finals of the XI FIP European Championship. 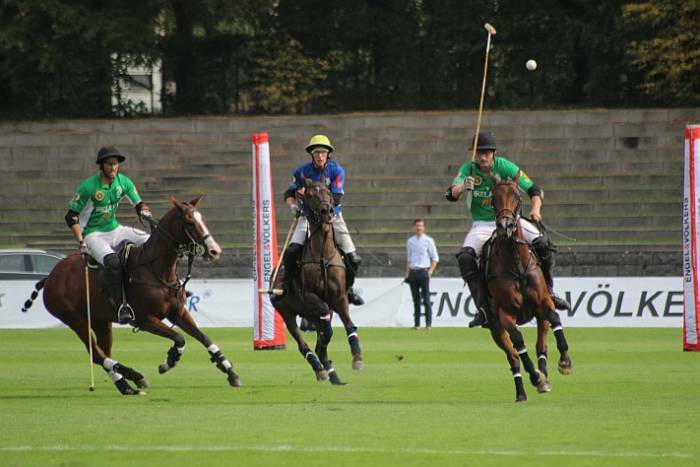 The air was tense, the crowd expectant, and along came the finalists. 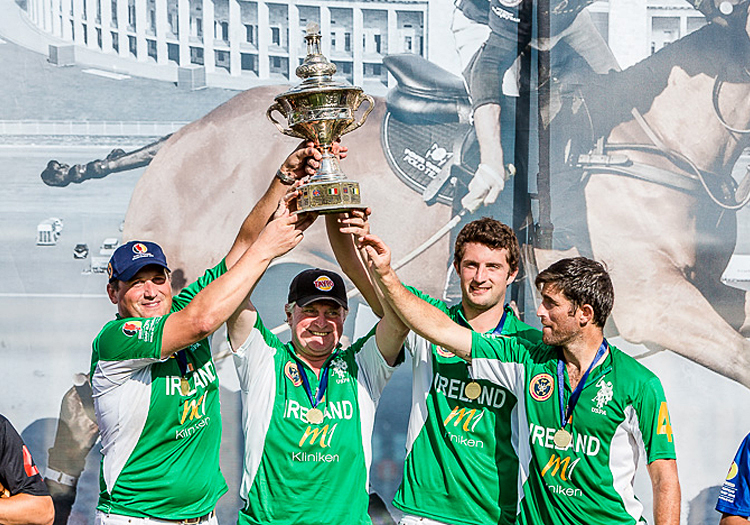 Louis Jarring opened up the scoreboard, but Max Hutchinson wasn’t going to grant les Bleus to lead for long: he scored shortly after, and in the second chukka, thanks to two goals by Mikey Henderson and one by Creighton Boyd, the game was decided: the four Irishmen and their fast and responsive horses would win gold and emerge as champions. 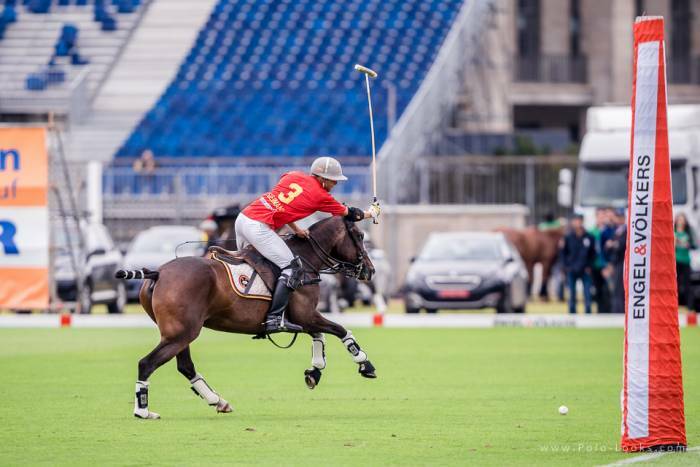 The award for Best Playing Pony went to Max Hutchinson’s horse, The One Who Got Away. 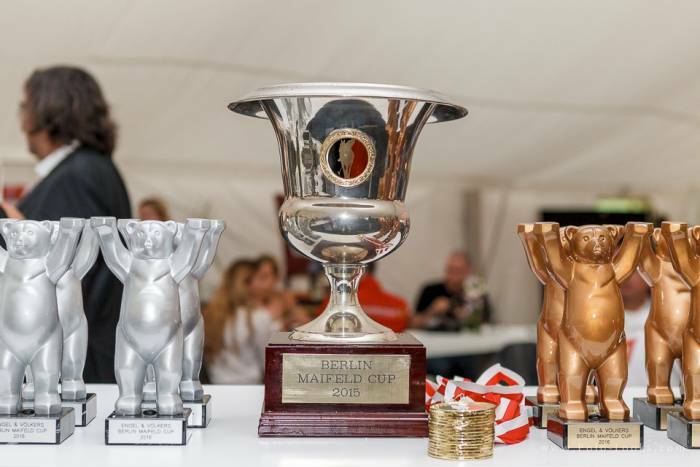 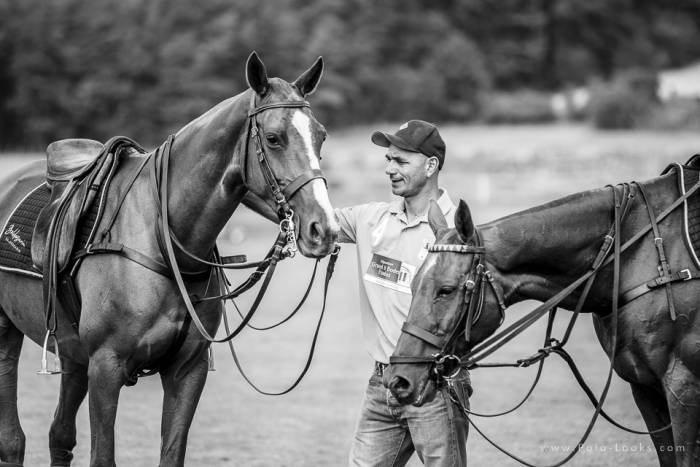 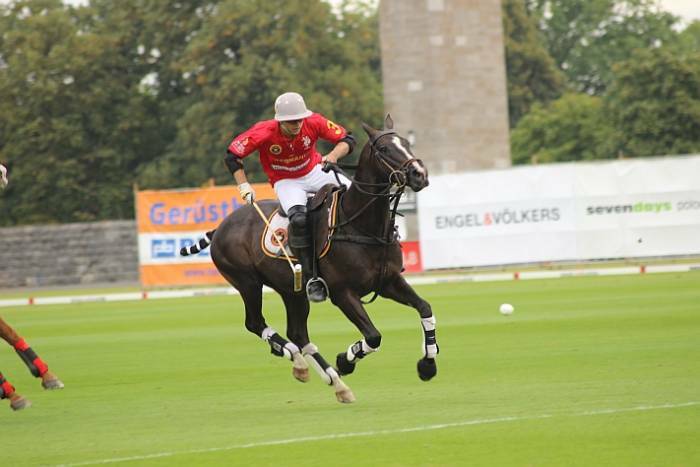 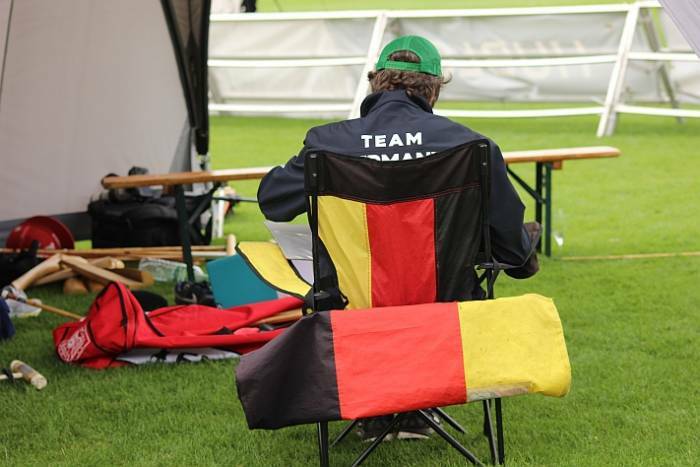 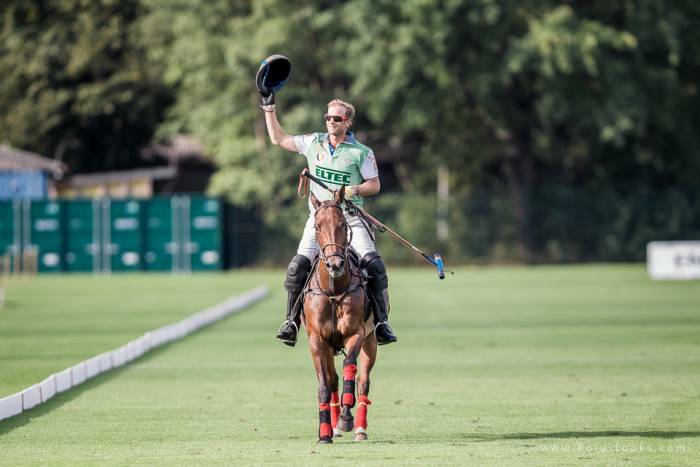 As on Saturday, later in the day it was time for the Engel & Völkers Berlin Maifeld Polo Cup finals to take place. 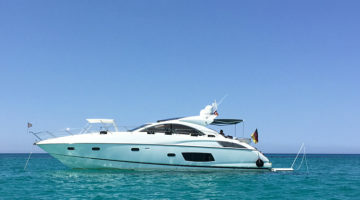 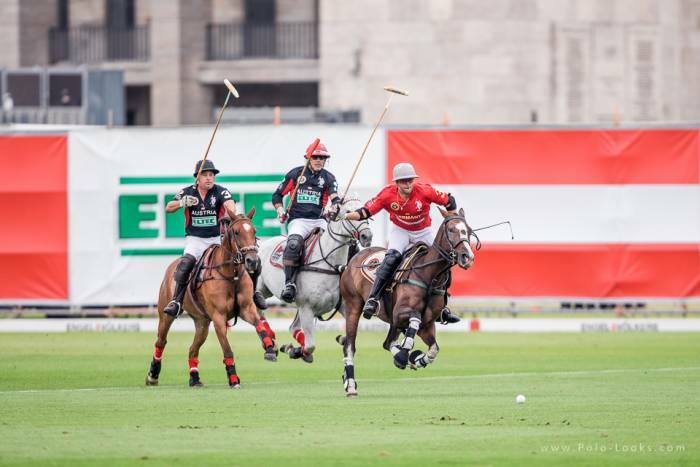 It was a game between Uwe Schröder’s team, Tom Tailor, formed by him, Daniel Crasemann, Gastón Maiquez and Cristobal Durrieu; and Allianz Kundler, comprised by Paul Netzch, Juan José Storni, Lucas Labat and Andreas Bihrer. 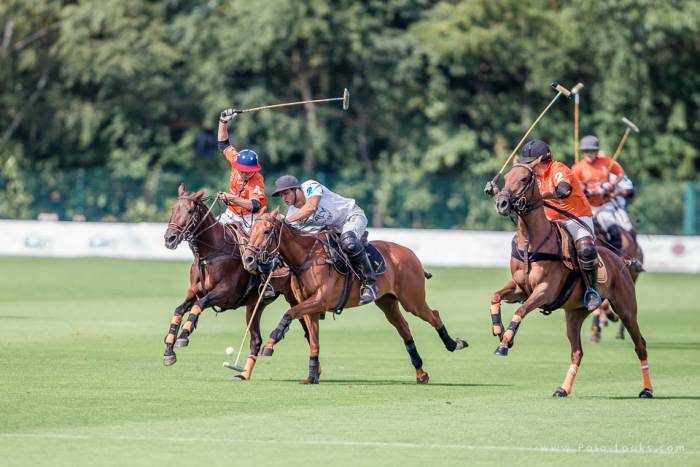 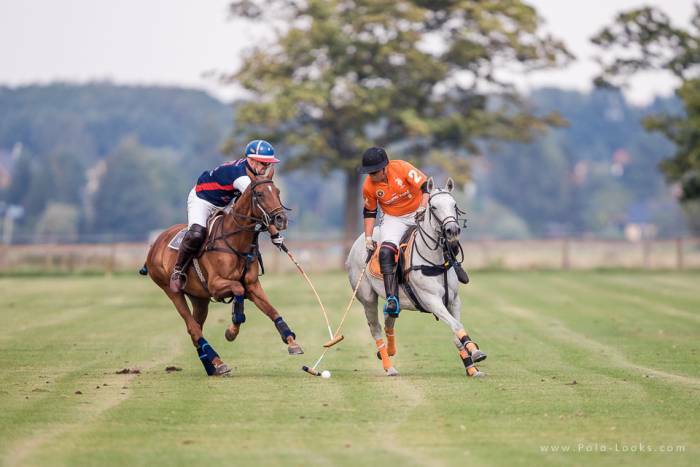 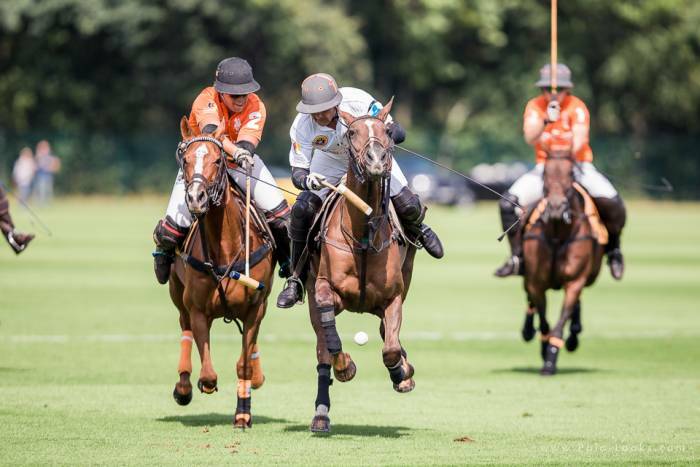 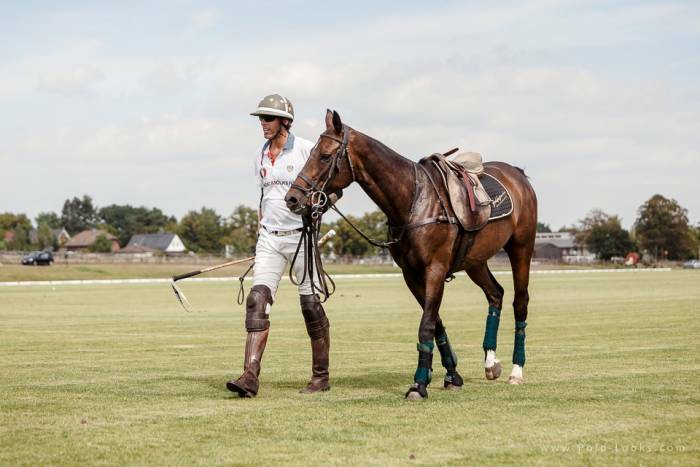 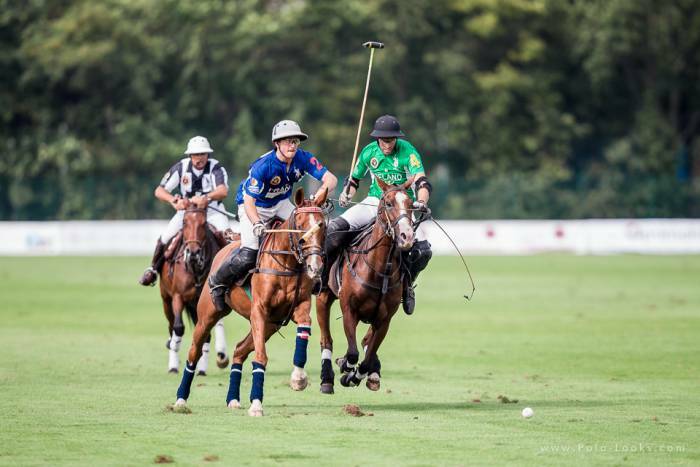 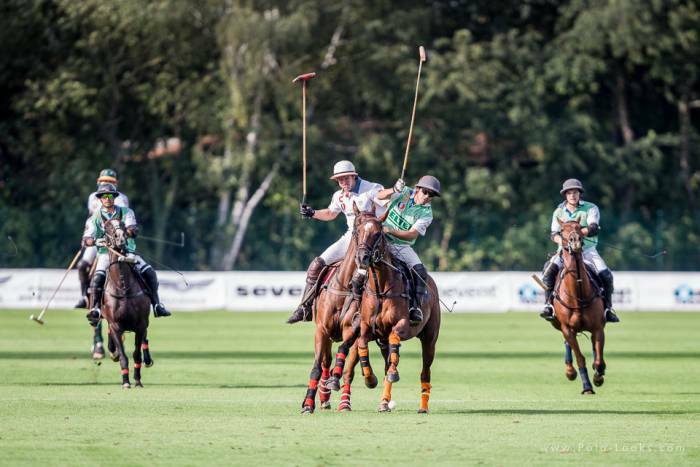 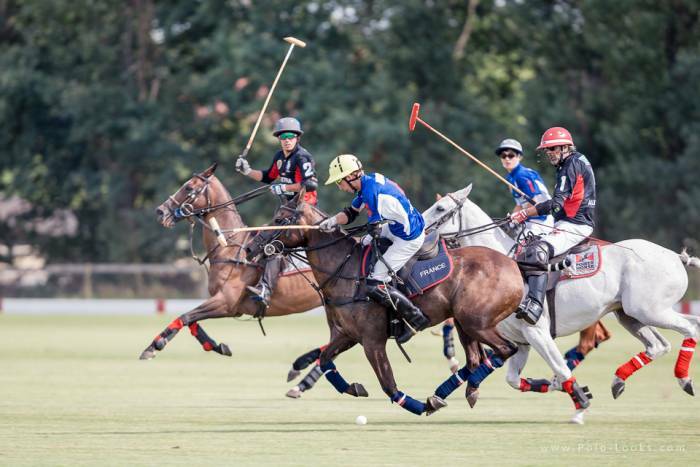 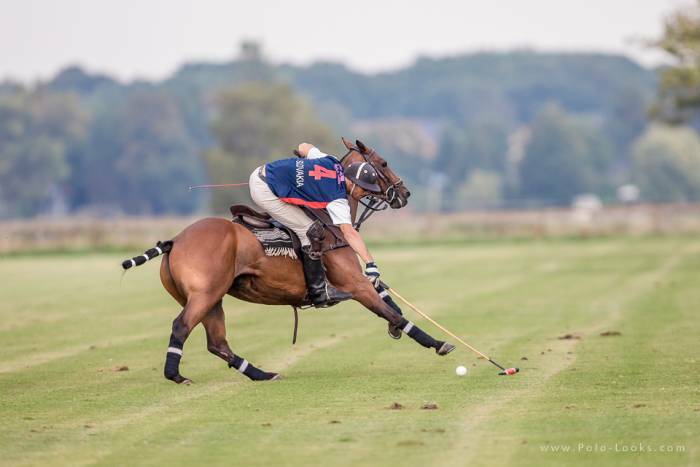 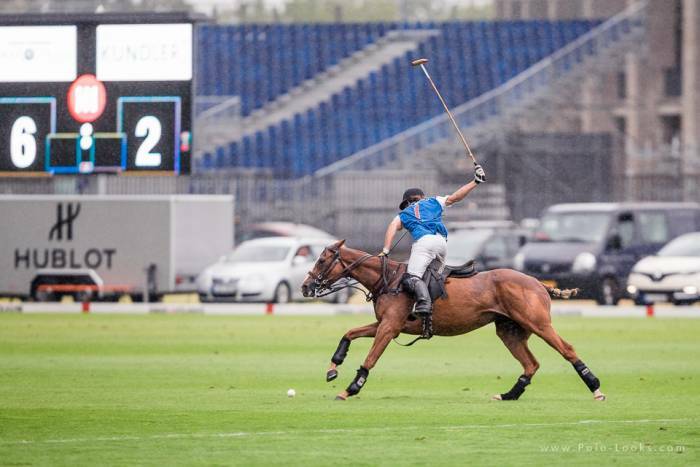 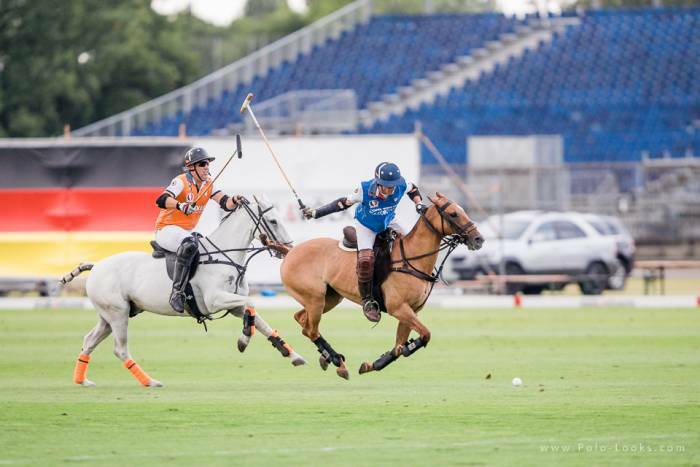 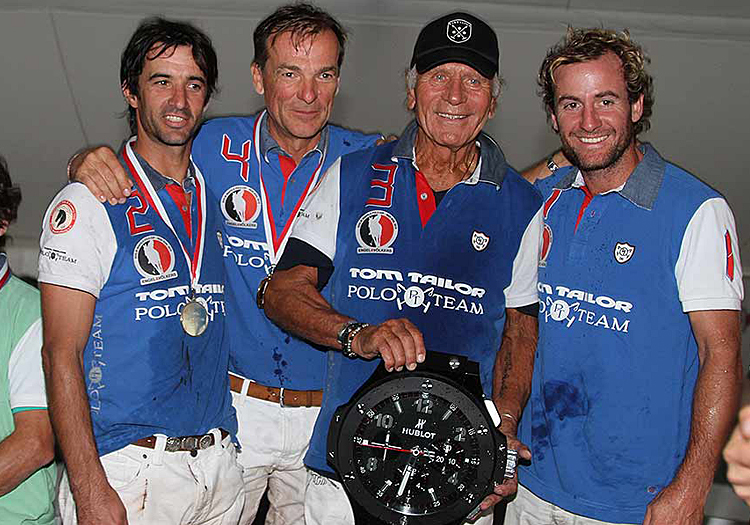 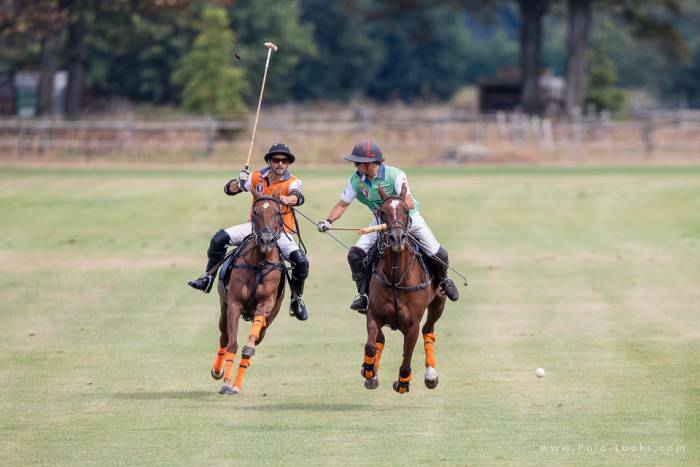 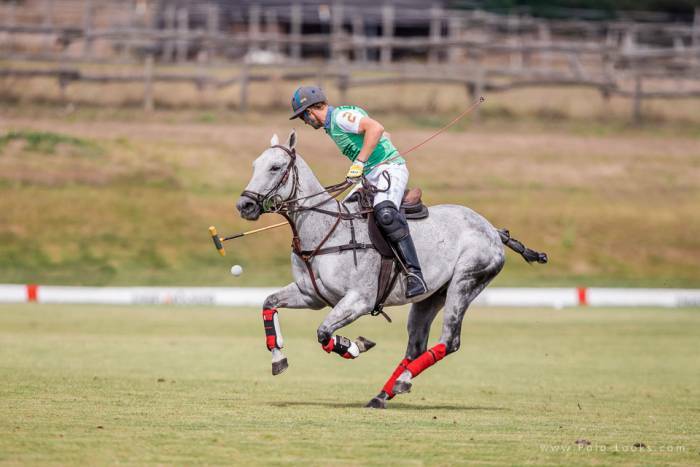 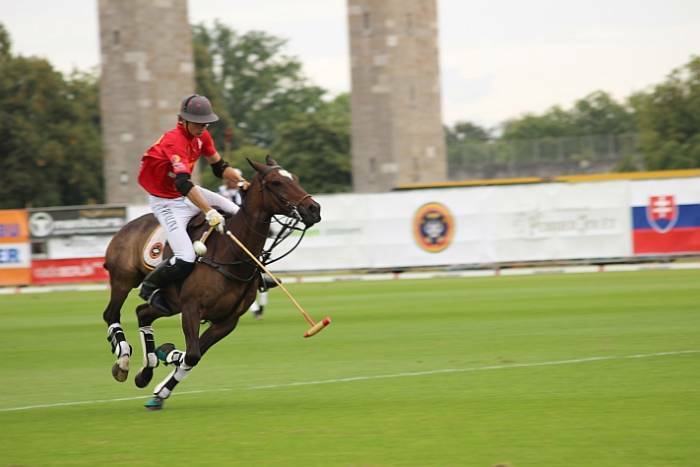 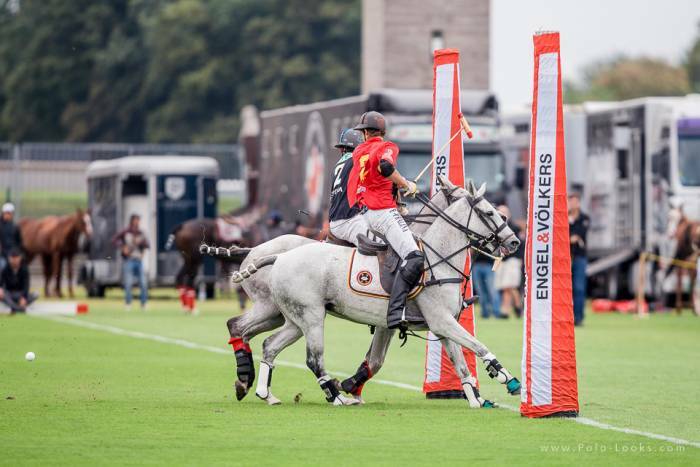 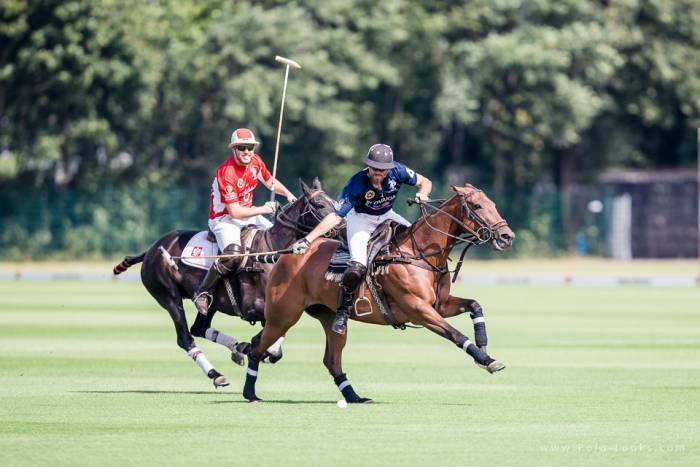 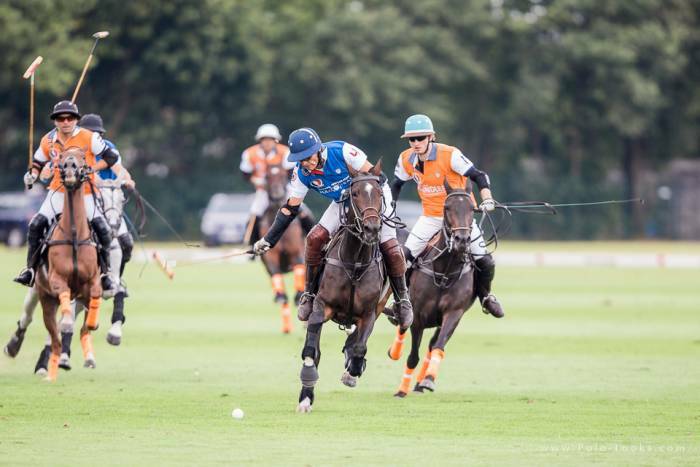 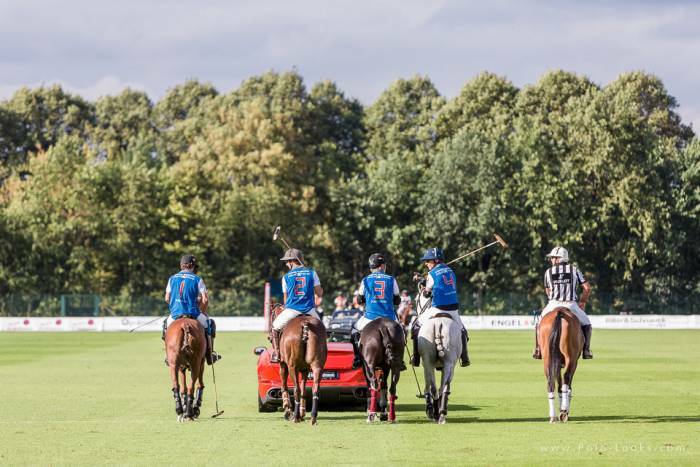 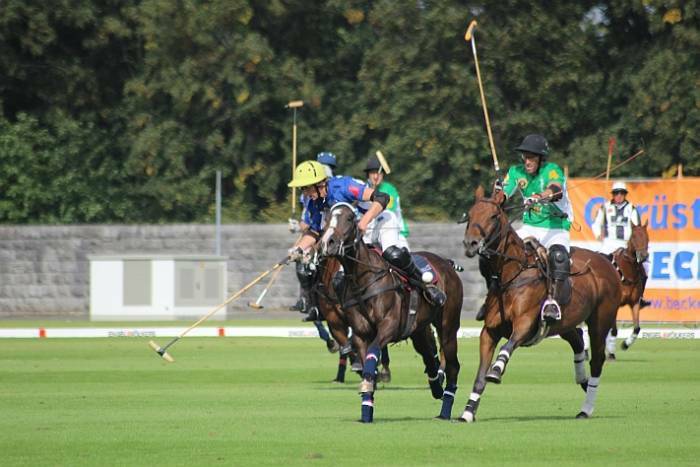 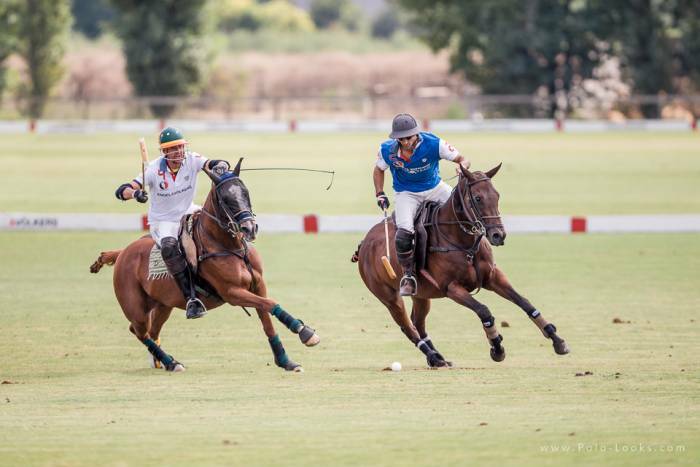 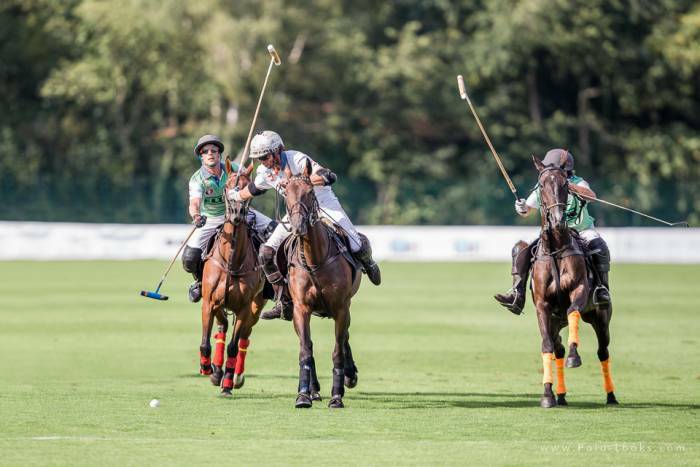 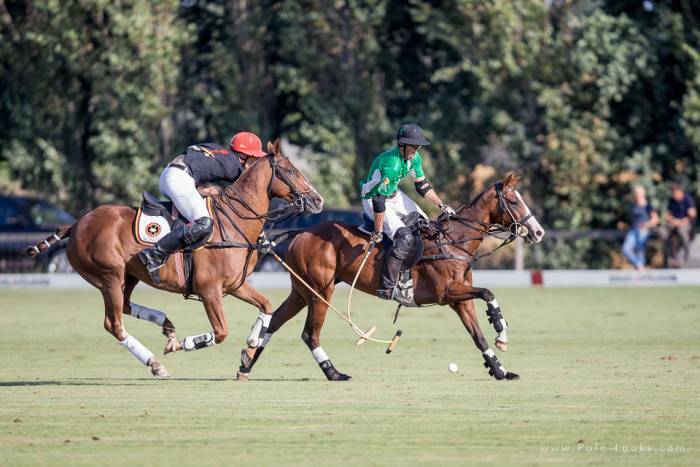 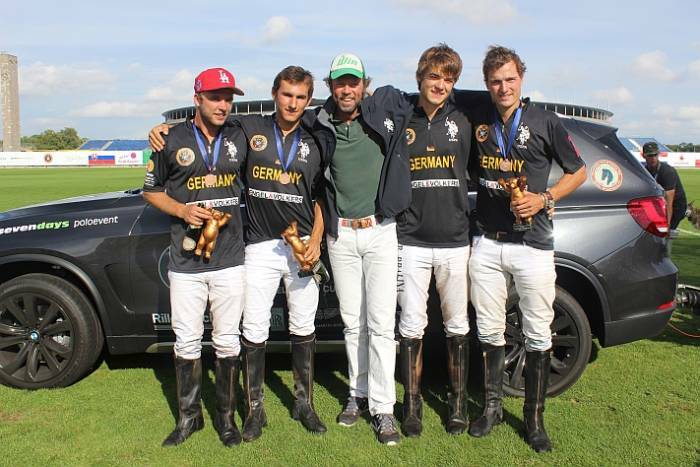 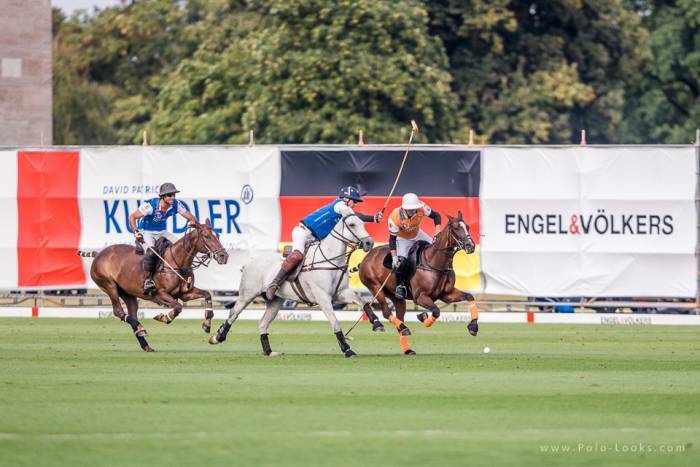 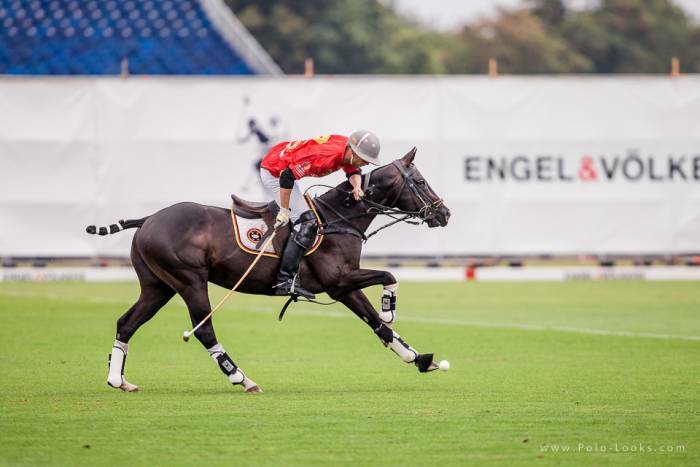 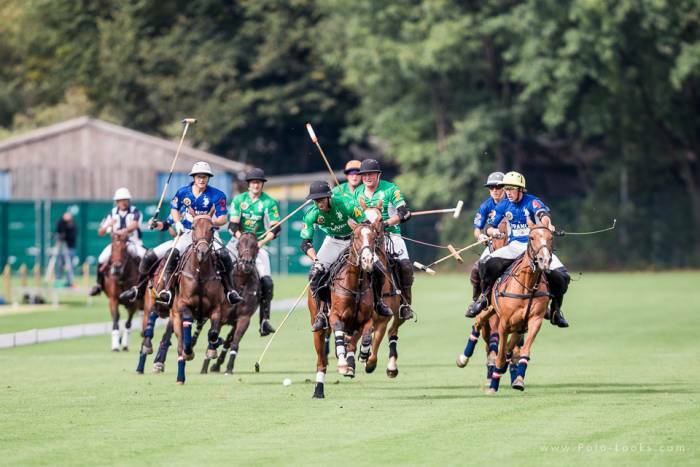 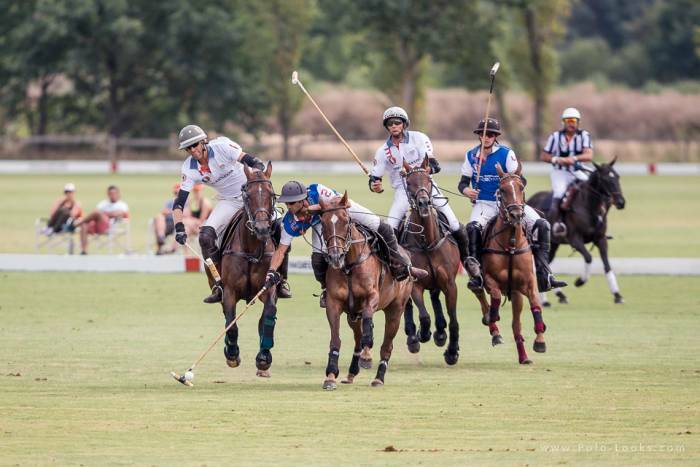 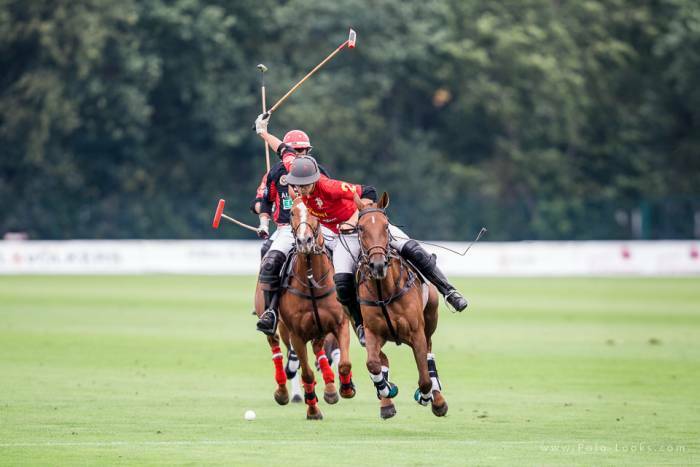 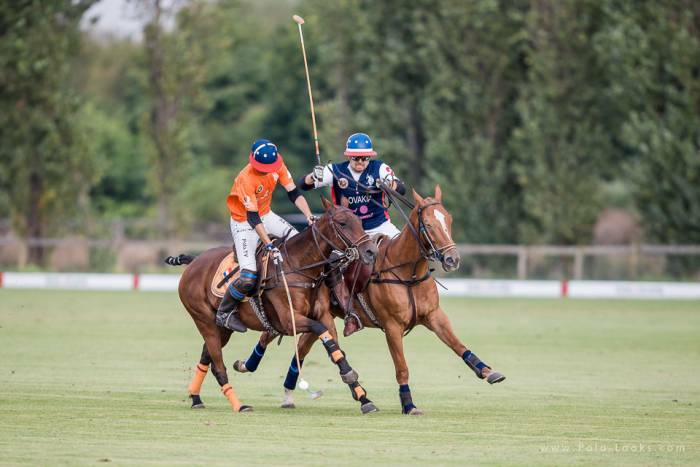 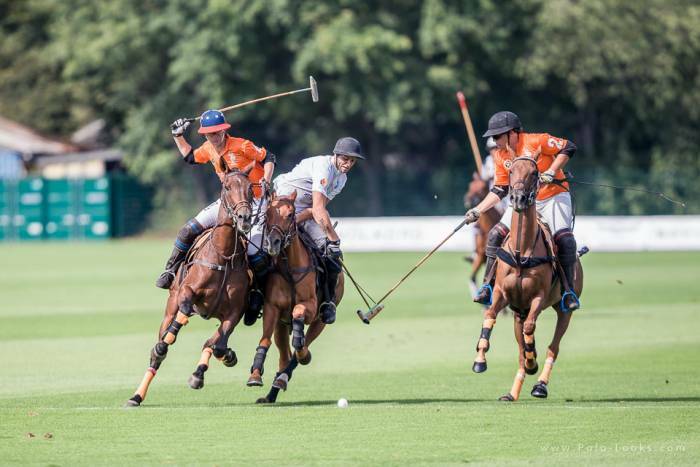 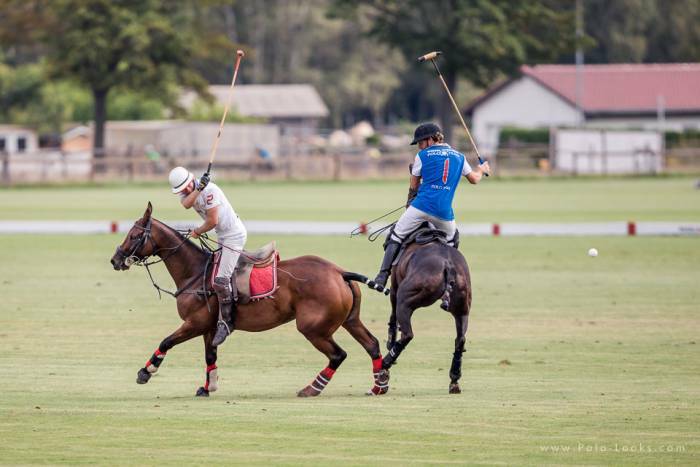 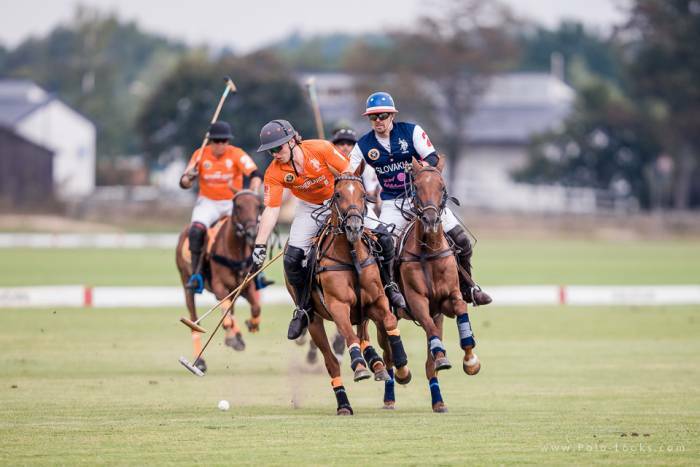 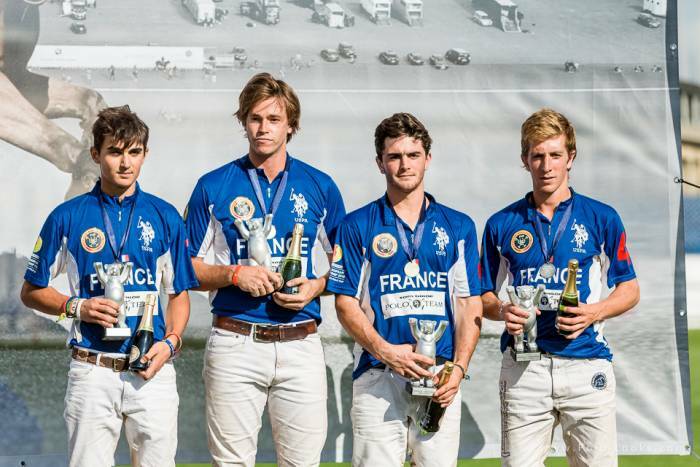 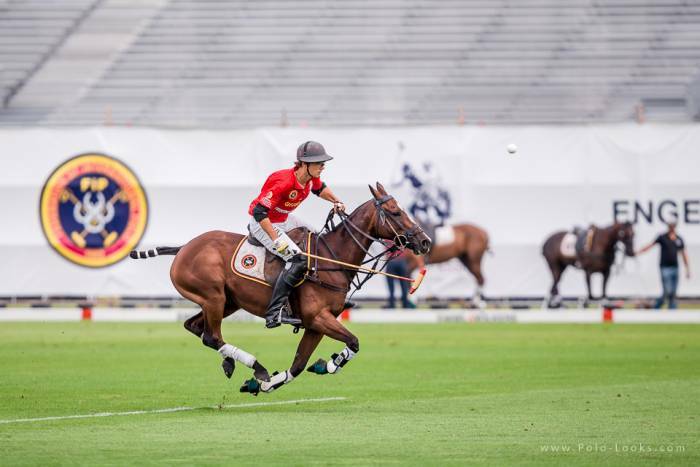 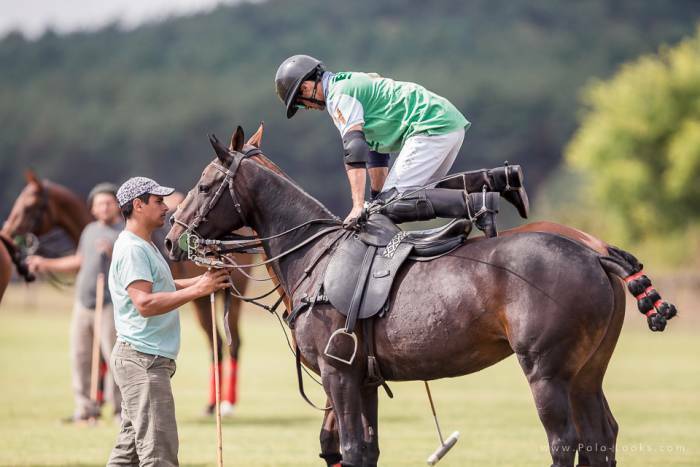 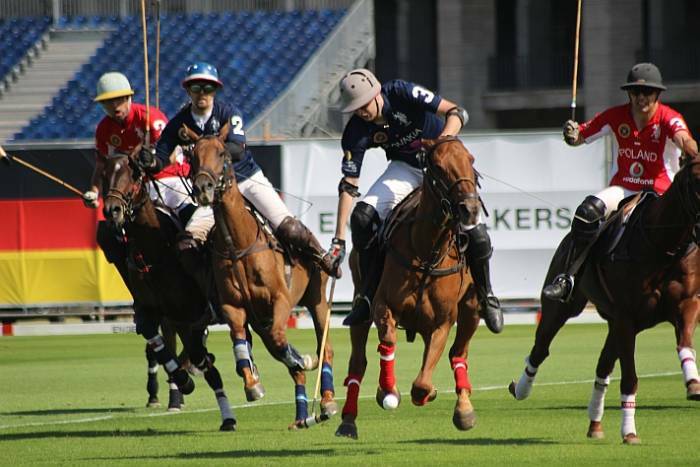 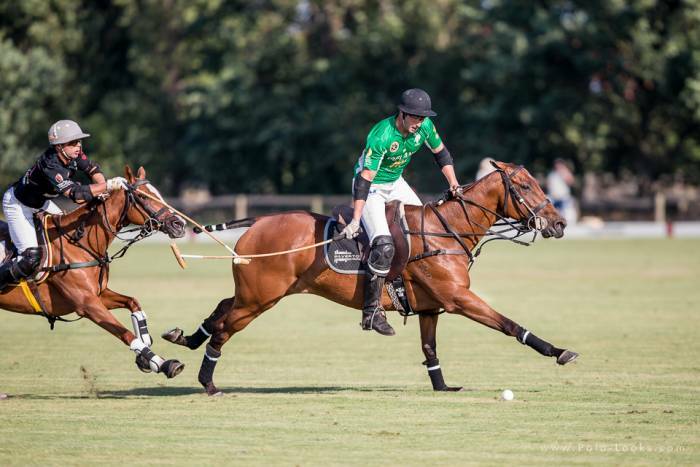 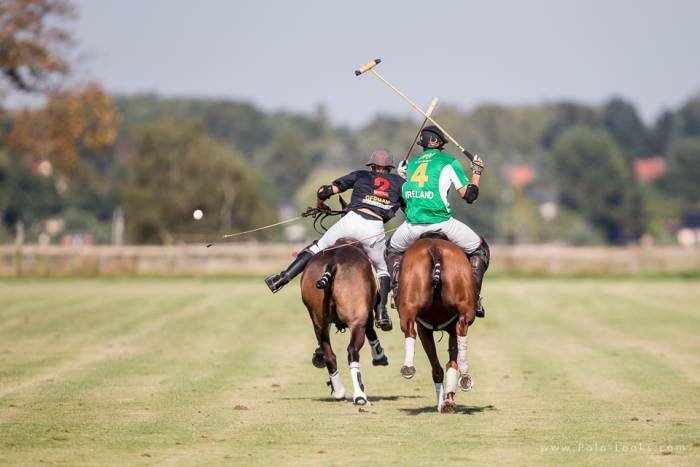 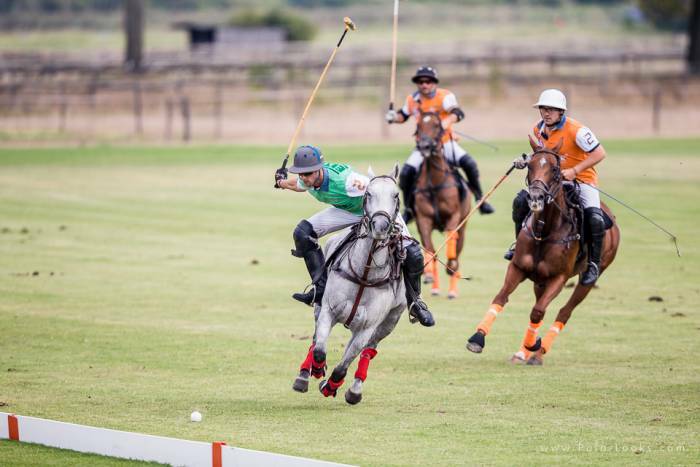 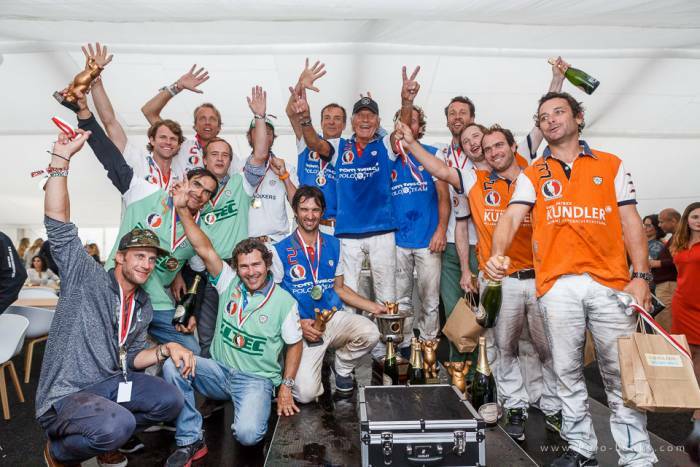 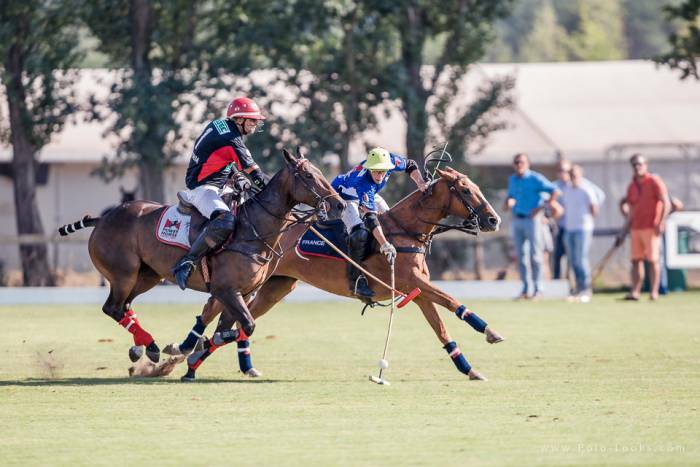 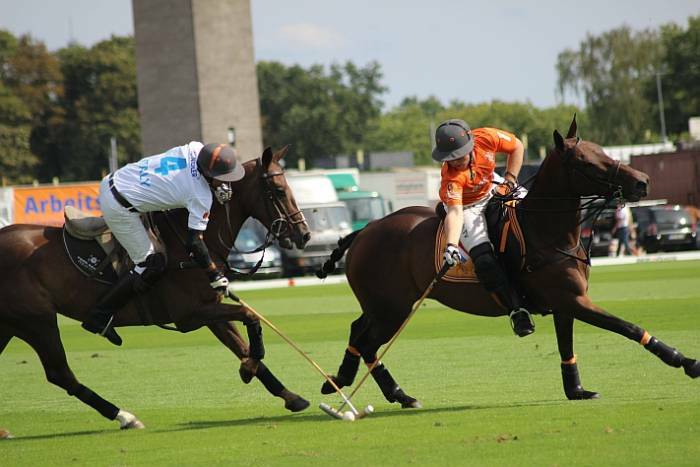 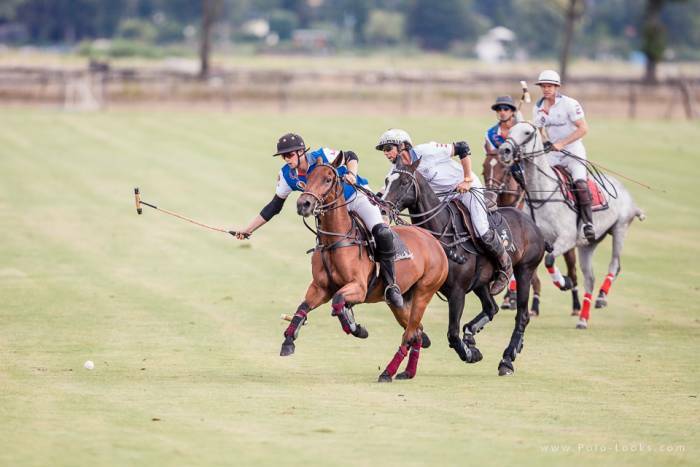 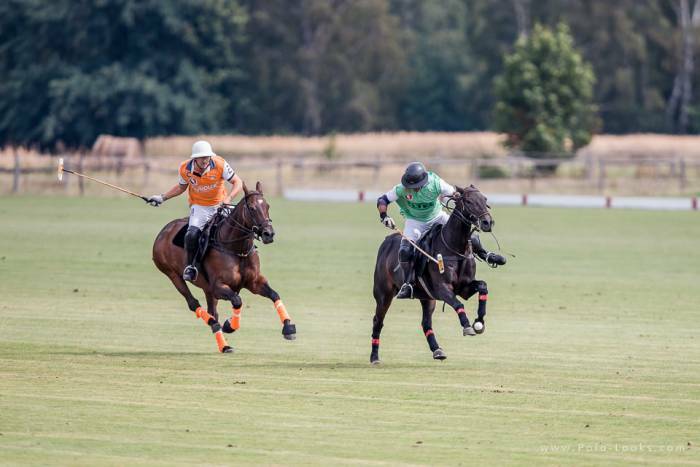 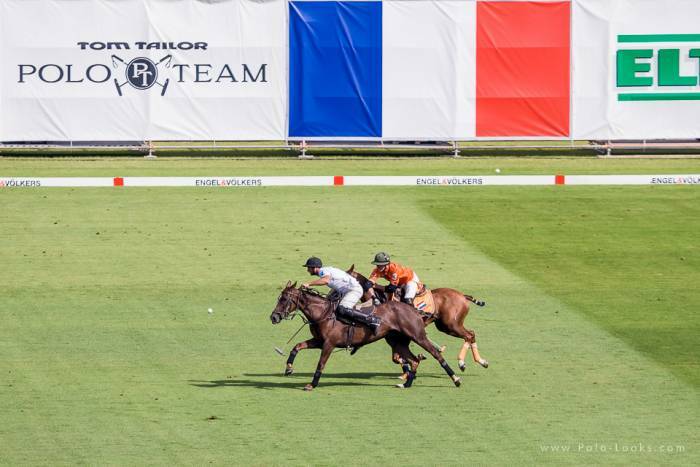 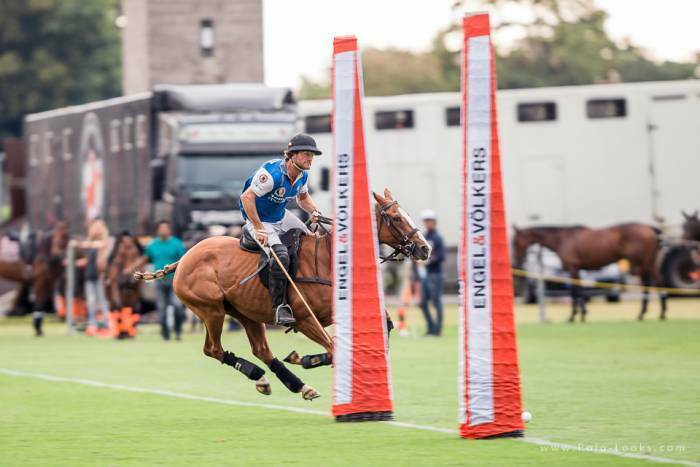 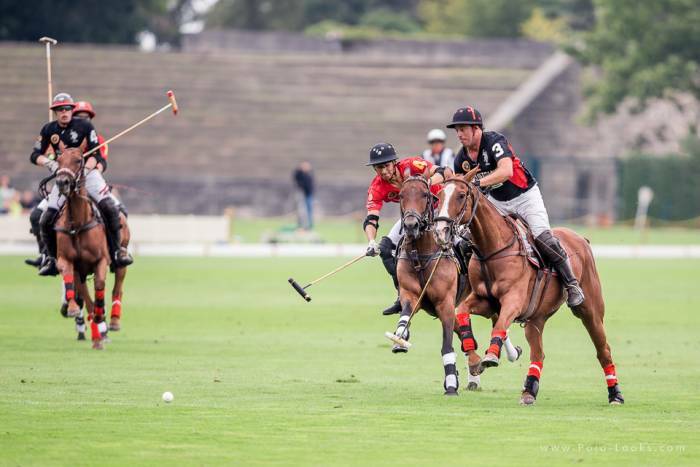 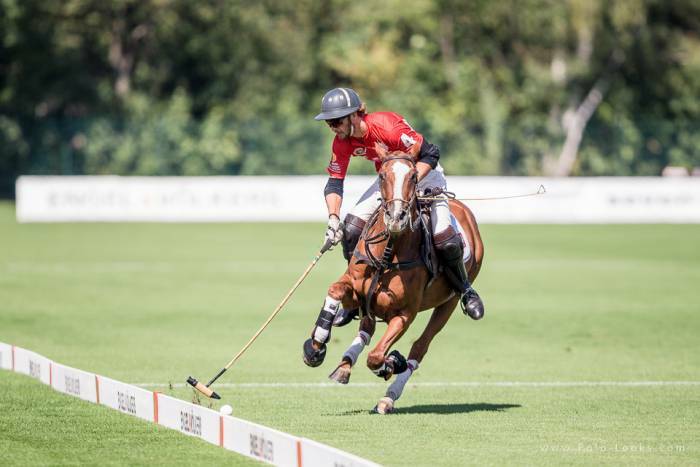 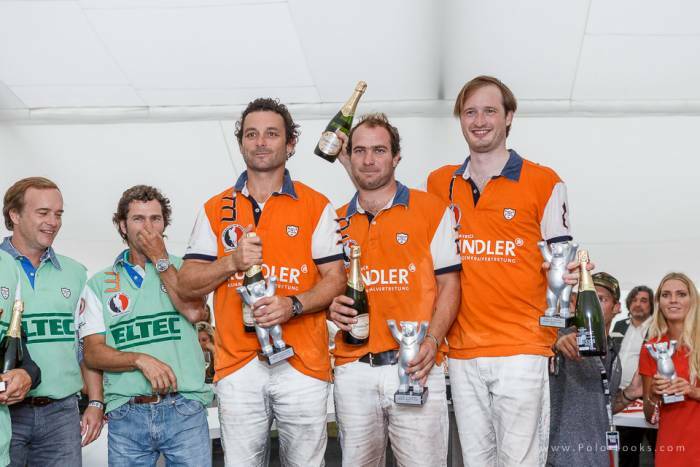 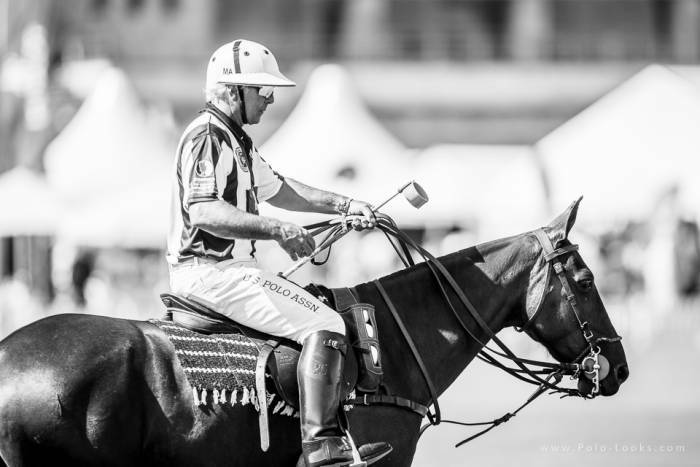 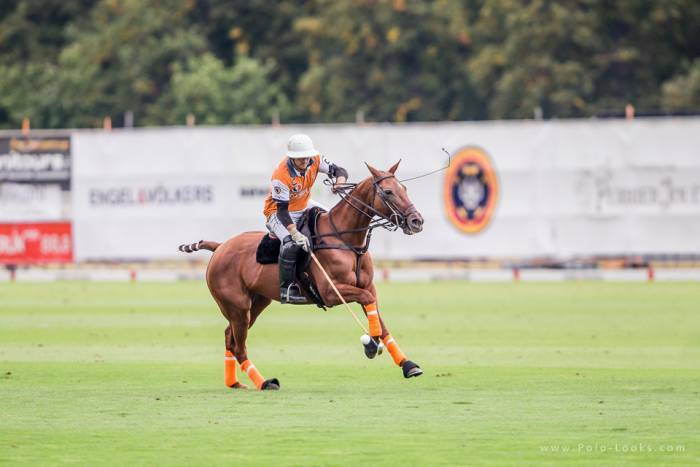 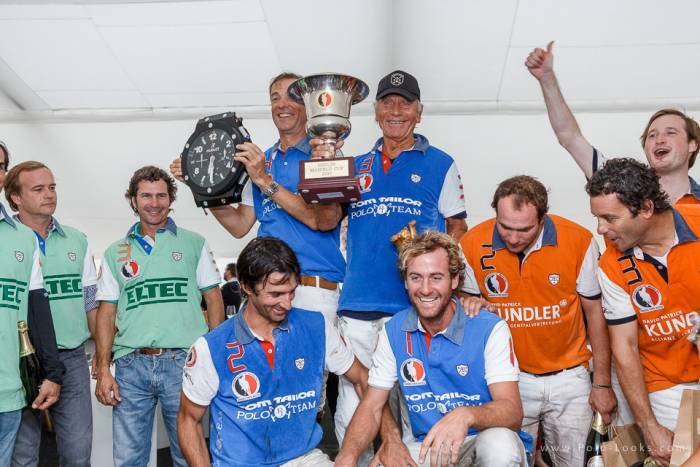 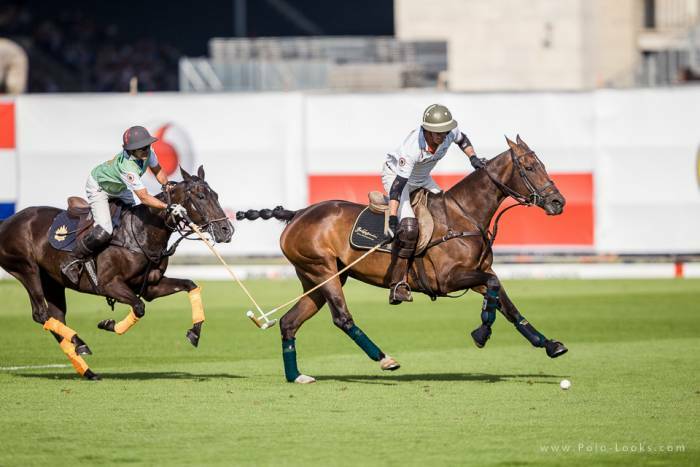 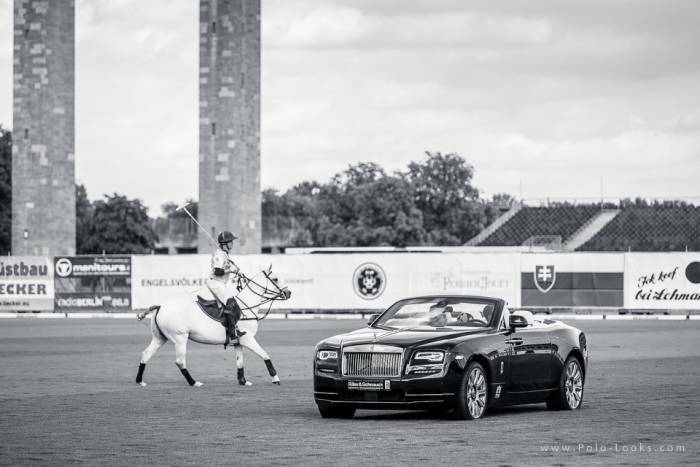 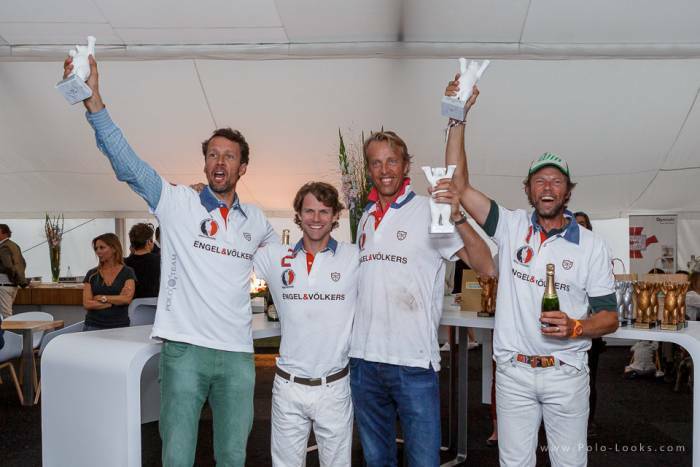 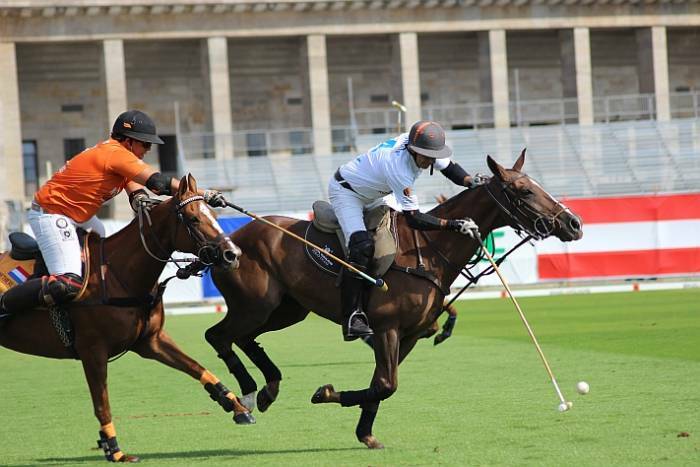 Tom Tailor was able to take the lead from the start, and even though the game had to be interrupted due to heavy rains, it continued shortly after and the team from Hamburg kept its dominance, finally winning and taking the desired Engel & Völkers Berlin Maifeld Polo Cup home. 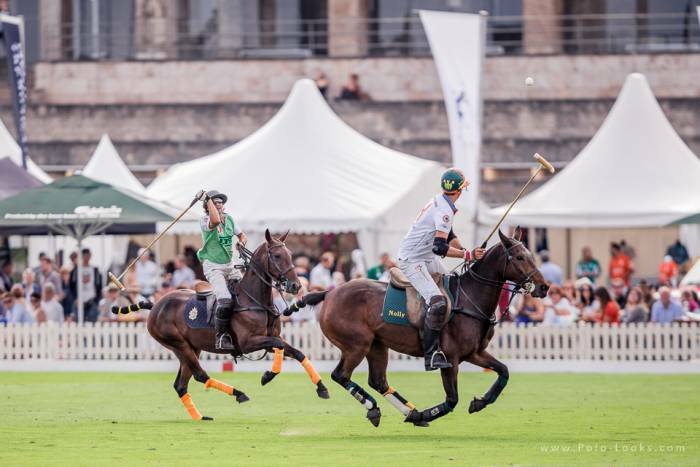 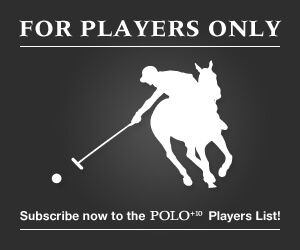 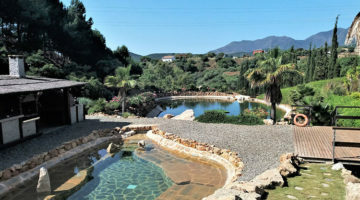 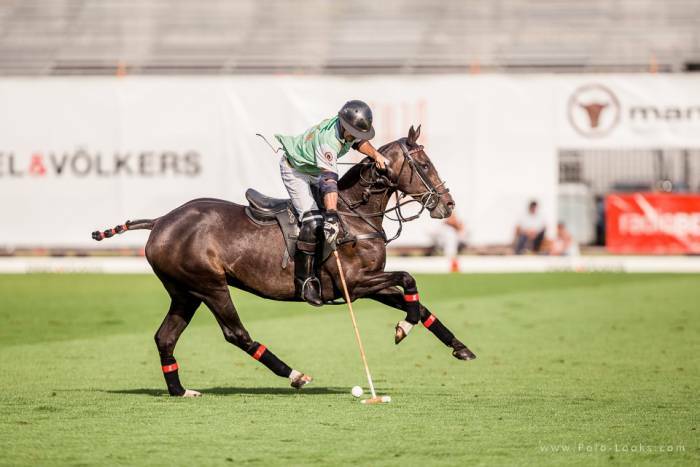 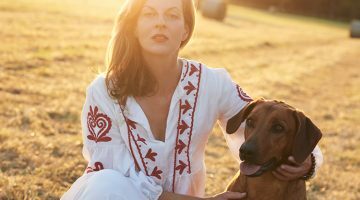 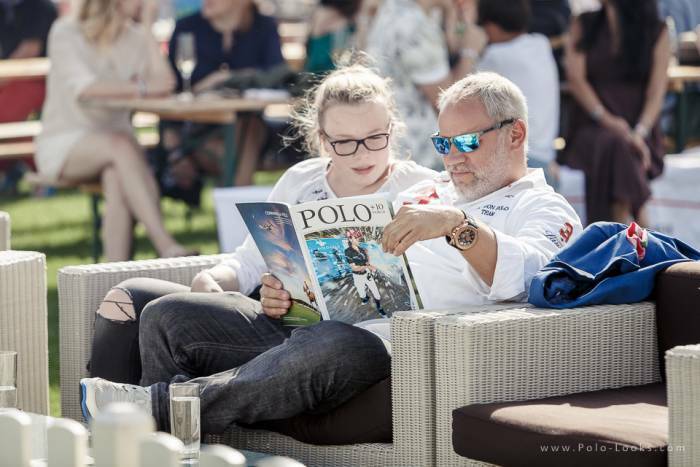 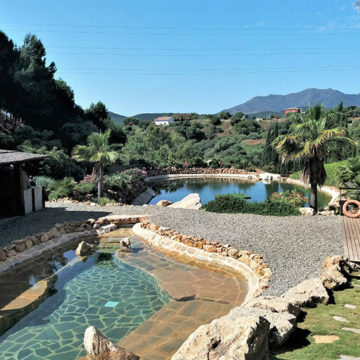 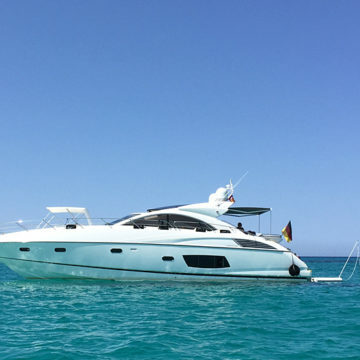 vorheriger Artikel Last Call POLO+10 Patrons’ Cup Ibiza: A few places are still available!